Apartment on 1st floor of residence (lift, intercom) near the beach. Entry straight into living room/lounge (sofa bed, DVD player), with balcony (sea view from side) & kitchen area. 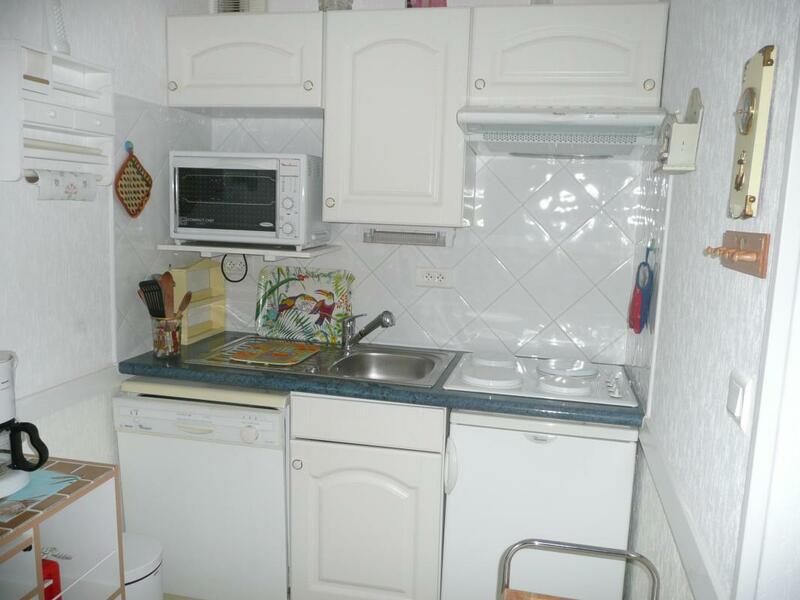 1 bedroom (double bed), bathroom with WC (washing/drying m/c). Electric heating, cost NOT included in rent. Pets allowed under certain conditions.